Carry the tool my crew relies on every day. 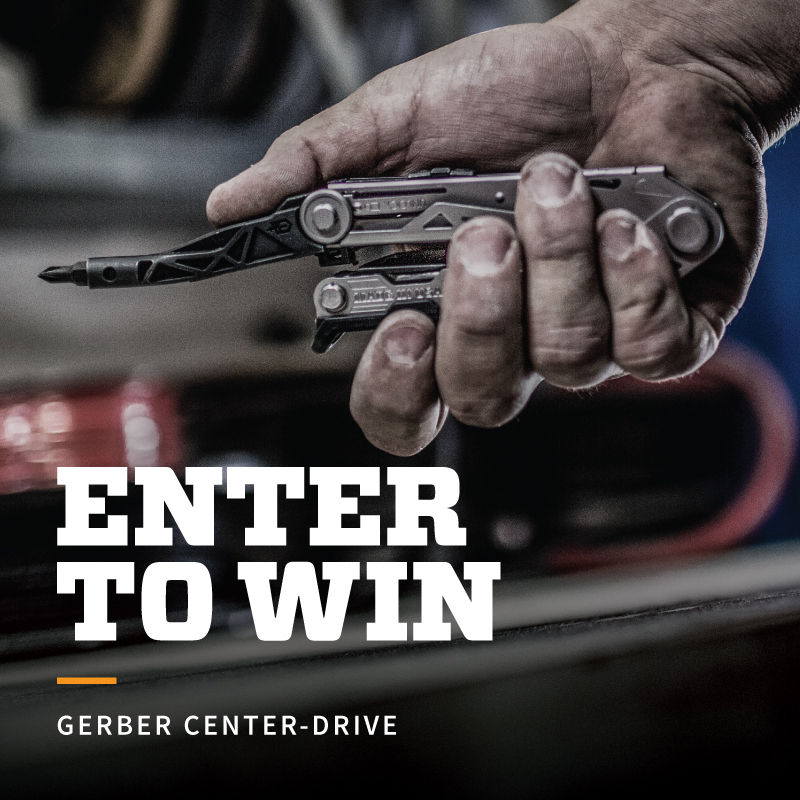 Enter to win a Gerber Center-Drive. Visit Jason Alean’s Instagram or Facebook to enter the giveaway. Just like Jason, his picks are icons in their own right. 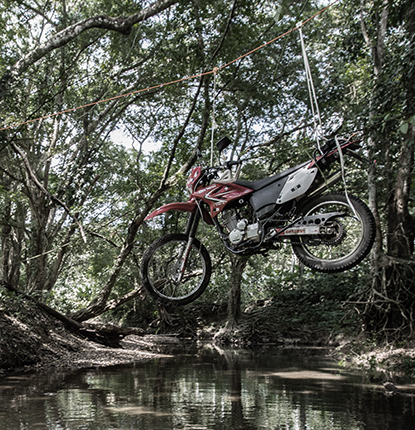 Tried, true, and built to last, these products are at home on a tour bus, motorcycle, or your everyday pickup. ELIGIBILITY: The Gerber Center-Drive Sweepstakes (the “Sweepstakes”) is open to individuals who, as of the date of entry, are legal residents of and residing in the 50 United States (including Washington D.C.) or Canada (excluding Quebec) and are at least 18 years old (“Entrant”). Employees of Sponsor or its affiliates, sales representatives, agencies, dealers, retailers, wholesalers, distributors, and promotional and other vendor agencies involved in the Sweepstakes, and the immediate family (parent, spouse, sibling, child, grandparent and grandchildren) and household members of all such parties, are NOT eligible. Sweepstakes is subject to all federal, state, provincial, and local laws and regulations. Void where prohibited or restricted by law; void in Quebec. Entrant must have an Instagram account (creating an account is free but requires agreeing to terms of service) and/or a Facebook account (creating an account is free but requires agreeing to terms of service). HOW TO ENTER: The Sweepstakes consists of forty (40) separate prizes, as explained below. To enter the Sweepstakes, Entrant may use either or both Instagram or Facebook. To enter via Facebook: Log into or create your Facebook account, then visit this post. Online accounts are free but subject to the terms of service at https://www.facebook.com/legal/terms. Then, locate the post that advertises this Sweepstakes for the applicable Sweepstakes Period. Follow the directions to “like” the GerberGear Facebook page and then comment with the wording requested (e.g., telling Jason Aldean’s crew where they should perform next) (herein, “Facebook Entry”). Upon Sponsor’s approval of your Facebook Entry, you will receive one (1) entry into the Sweepstakes drawing. Limit one (1) Facebook entry per person/Facebook account during the Sweepstakes Period. Sponsor may not receive Entries that fail to strictly follow the posting instructions set forth in these Official Rules and Sponsor is not responsible for failure to see or receive an entry. By including the tag in the comments, entrants are confirming their acceptance to these Official Rules. An Entrant submitting both a Facebook Entry and an Instagram Entry will, upon Sponsor approval, have two entries into the Sweepstakes. Any attempt by any person to obtain more than the stated number of entries by using multiple/different Instagram or Facebook accounts, or any other methods will void all of that person’s entries and that person will be disqualified. Neither Sponsor or Jason Aldean are responsible for lost, late, illegible, corrupted, or misdirected entries. SWEEPSTAKES PERIOD: Entries must be submitted between 12:01 a.m. Central Time (“CT”) on December 13, 2017 and 11:59 p.m. CT on December 20, 2017 (“Sweepstakes Period”) to be eligible. Sponsor will be the official time clock for the Sweepstakes. Odds of winning depend on number of eligible entries received for the Sweepstakes. PRIZES AND APPROXIMATE RETAIL VALUES (ARV): Thirty (30) randomly selected winners will be chosen from all eligible entries received within thirty (30) days after the end of the Sweepstakes Period. The drawing will be conducted in accordance with the Official Rules by Sponsor, whose decisions on all matters related to the Sweepstakes are binding and final. Sponsor will notify the potential winner by posting a comment on the entry. Sponsor’s comment will state that the entrant is a potential winner and that to claim the Prize, the potential winner must contact Sponsor at the e-mail address (or other contact information) provided within five (5) days, or the prize package will be forfeited and an alternate potential winner will be chosen. Neither Sponsor or Jason Aldean are responsible for false, incorrect, changed, incomplete or illegible contact information or for failure of a potential winner to contact Sponsor after being selected as a winner. Affidavit of eligibility, prize acceptance form, tax information, publicity release, and mutually acceptable liability releases may be required and, if so, must be returned within reasonable specified time or prize will be forfeited and alternate winner chosen. Prizes will be fulfilled six to eight weeks after the potential winner is selected and confirmed via mail to addresses in 50 United States (includes DC) or Canada (excluding Quebec) only. If the potential winner is from Canada, completion of a skill-based mathematical problem without assistance will be required, or an alternate winner will be chosen. For a list of winners, check www.instagram.com/gerbergear and/or www.instagram.com/gerbergear on or before February 2018. One (1) Gerber® Center-Drive™ Multi-tools. A total of forty (40) Gerber® Center-Drive™ Multi-tools will be awarded as prizes for the Sweepstakes for a grand total of ARV $4760. Maximum one (1) prize per person/household. Applicable taxes on prize are the sole responsibility of the Winner. 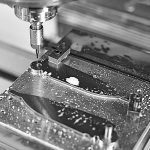 Any and all guarantees and warranties for merchandise prize are subject to the manufacturer’s terms and conditions, and Winner agrees to look solely to such manufacturers for any warranty or guarantee claim. Prize is non-transferable and no substitution or cash equivalent is allowed except in Sponsor’s sole discretion. Sponsor reserves the right to substitute prize of the same ARV. Prize consists only of item specifically listed as part of the prize. For prizes $600 or more in value awarded to a U.S. individual during a calendar year, winner’s social security number or taxpayer i.d. will be required in order to issue a Form 1099-MISC showing prize ARV as income to winner. All costs and expenses not specified herein, related to any prize, including but not limited to delivery, installation, service activation fees and other expenses incurred by accepting the prize, are the sole responsibility of the Winner. Limit one (1) prize per person. Prizes will be fulfilled six to eight weeks after the drawing. Neither Sponsor or Jason Aldean are liable or responsible for late, lost, mis-delivered or damaged prize award. No more than the maximum number of prizes (40 in total) will be awarded under any circumstance. If more than forty (40) winners are accidentally selected, then a second drawing from all such winners will be made at random and forty (40) final winners will be identified and awarded the prize in accordance with these Official Rules. SELECTION OF THE WINNER: A total of forty (40) randomly selected Winners will be selected from among all eligible Entrants who entered the Sweepstakes. Specifically, as detailed above in the chart above, ten (10) Winners will be selected for the Prize Package. As a condition of winning the prize, a potential Winner who is a resident of Canada must first correctly answer a mathematical skill testing question without aid or assistance and otherwise be in compliance with these Official Rules. Selected Winner may also be required to complete, sign and return a declaration of compliance with the Official Rules and a liability and publicity release, provide proof of age and residency, and any other applicable forms that may be required by the Sponsor, within twenty-one (21) days of the date on the accompanying notification. If a selected Winner cannot be contacted within the specified time, fails to correctly answer the skill-testing question, does not complete and return any required forms within the time specified, or otherwise fails to comply with these Official Rules, he/she will be disqualified and will forfeit the prize and another Winner may be selected in accordance with these Official Rules. PUBLICITY RELEASE: Except where prohibited, acceptance of a prize package constitutes Winner’s consent that his or her name, likeness, voice and/or biographical data may be used for advertising and promotional purposes without limitation and without additional notice, compensation, or consent. A publicity release may be required and, if so, must be returned within reasonable specified time or prize will be forfeited and alternate Winner chosen. RELEASE: By entering, Entrant agrees to accept and abide by these Official Rules of this Sweepstakes and agrees that any dispute with regard to the conduct of this Sweepstakes, rule interpretation or award of prize shall be submitted to Sponsor, whose decision shall be binding and final. 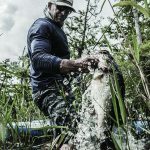 By participating, Entrant agrees to release and hold harmless Sponsor, Jason Aldean, Instagram, Facebook, participating dealers and retailers, affiliates, sales representatives, distributors and promotional and other vendor agencies, their respective parent companies, affiliates, subsidiaries, service agencies, independent contractors, and the officers, directors, employees, agents and representatives of any of the above organizations from any injury, loss or damage to person, including death, or property due in-whole or in-part, directly or indirectly, to the acceptance or use/misuse of a prize, participation in any sweepstakes-related activity, or participation in the sweepstakes. Neither Sponsor or Jason Aldean are responsible for any typographical or other error in the printing of this offer, administration of the Sweepstakes or in the announcement of prizes, including erroneous appearance of qualification for a prize, and under no circumstances will more than the stated number of prizes be awarded. Sponsor reserves the right, in its sole and absolute discretion, to modify, cancel, or suspend this Sweepstakes, or to amend the Official Rules at any time, without prior individual notice, should any factor interfere with the administration, security, or proper play of this Sweepstakes as contemplated by these Official Rules. If for any reason Sponsor is prevented from continuing with this Sweepstakes, or the integrity and/or feasibility of the Sweepstakes is severely undermined by any event including but not limited to fire, flood, epidemic, earthquake, explosion, labor dispute or strike, act of God or public enemy, satellite or equipment failure, riot or civil disturbance, war (declared or undeclared), terrorist threat or activity, or any federal, state or local government law, order or regulation, order of any court or jurisdiction, Sponsor shall have the right, in its sole discretion, to abbreviate, modify, suspend, cancel or terminate the sweepstakes without further obligation. If Sponsor in its discretion elects to so abbreviate the Sweepstakes, Sponsor reserves the right, but not the obligation, to award the prize from among all eligible entries received to date. All entries are the property of Sponsor and are not returnable. This Sweepstakes is intended for viewing in the United States and Canada (excluding Quebec) (the “Territory”) only and shall be construed and evaluated only according to applicable United States and Canadian (excluding Quebec) law. Do not enter this Sweepstakes if you are not located in the Territory. The use of any automated devices in connection with this Sweepstakes is prohibited. Sponsor and Jason Aldean assume no responsibility for computer system, hardware, software or program malfunctions or other errors, failures, delayed computer transactions or network connections, whether human, technical or otherwise in nature. Sponsor reserves the right, in its sole discretion, to cancel or suspend this Sweepstakes should virus, bugs or other causes beyond its control corrupt the administration, security or proper play of this Sweepstakes. 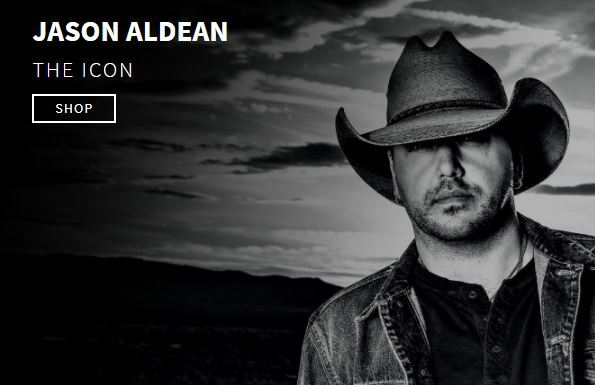 Neither Sponsor or Jason Aldean are responsible for any injury or damage to any person’s computer or related equipment resulting from or relating to participation in this Sweepstakes or downloading any material related to this Sweepstakes. Entries will be deemed made by the authorized account holder of the Instagram and/or Facebook account submitted at the time of entry. In the event of a dispute, the potential winner may be required to provide proof that he or she is the authorized holder of the identified Instagram and/or Facebook account. Release and Limitations of Liability: To the fullest extent permitted by law, by participating in the Sweepstakes, each Entrant agrees to release and hold harmless Gerber Legendary Blades, a division of Fiskars Brands, Inc. and Jason Aldean and their respective parents, subsidiaries, affiliates, promotional partners, prize partners, providers and their respective agents and agencies, officers, directors, and employees (the “Released Parties”) from and against any claim or cause of action arising out of participation in the Sweepstakes, or the receipt, use or misuse of any prize, including, but not limited to: (a) unauthorized human intervention in the Sweepstakes; (b) technical errors related to computers, servers, providers, or telephone, cellular, or network lines; (c) printing errors; (d) errors in the administration of the Sweepstakes or the processing of entries; (e) late, lost, or undeliverable mail or email; or (f) injury or damage to persons or property which may be caused, directly or indirectly, in whole or in part, from Entrant’s participation in the Sweepstakes or the receipt, use or misuse of any prize. Entrant further agrees that in no event shall the Released Parties be liable for attorney’s fees or damages resulting from the use of any prize. Entrant waives the right to claim any damages whatsoever, including, but not limited to, punitive, consequential, direct, or indirect damages (other than for actual out-of-pocket expenses or statutory damages) and any and all rights to have damages multiplied or otherwise increased. If for any reason an Entrant’s entry is confirmed to have been erroneously deleted, lost, or otherwise destroyed or corrupted, Entrant’s sole remedy is another entry in the Sweepstakes, if it is possible. No more than the stated number of prizes for the Sweepstakes will be awarded. In the event that production, technical, seeding, programming or any other reasons cause more than stated number of prizes as set forth in this Sweepstakes to be claimed, Sponsor reserves the right to award only the stated number of prizes by a random drawing among all legitimate, un-awarded, eligible prize claims. DISPUTES/CHOICE OF LAW: Except where prohibited, each entrant agrees that: (1) any and all disputes, claims and causes of action arising out of or connected with this Sweepstakes or any prize awarded shall be resolved individually, without resort to any form of class action, and exclusively by state or federal courts situated in Wisconsin, (2) any and all claims, judgments and awards shall be limited to actual out-of-pocket costs incurred, but in no event attorneys’ fees, (3) no punitive, incidental, special, consequential or other damages, including, without limitation, lost profits, may be awarded (collectively, “Special Damages”), and (4) entrant hereby waives all rights to claim Special Damages and all rights to such damages multiplied or increased. Wisconsin law, without reference to choice of law rules, governs the sweepstakes and all aspects related thereto. Sponsored by Gerber Legendary Blades, a division of Fiskars Brands, Inc., 14200 SW 72nd Avenue Portland, OR 97224. 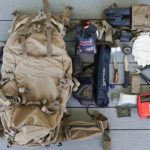 Gerber tools are the best !